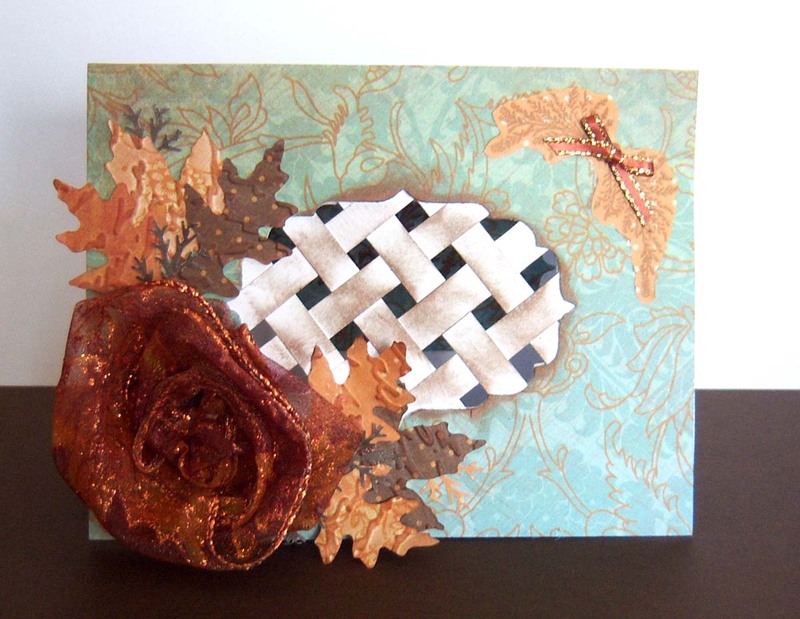 My friend picked the challenge this week --- it was to do a lattice front on your card like Valita did (click here). I'm on dial-up so viewing the video was not an option for me, but I managed to figure out a way to do it (probably not Valita's way, but what I did worked). I didn't have a lot of extra time so I only managed to try this technique once. The "bright idea" of turning a scallop circle into a pie card was mentioned, but I didn't get that done (maybe my friend did?). 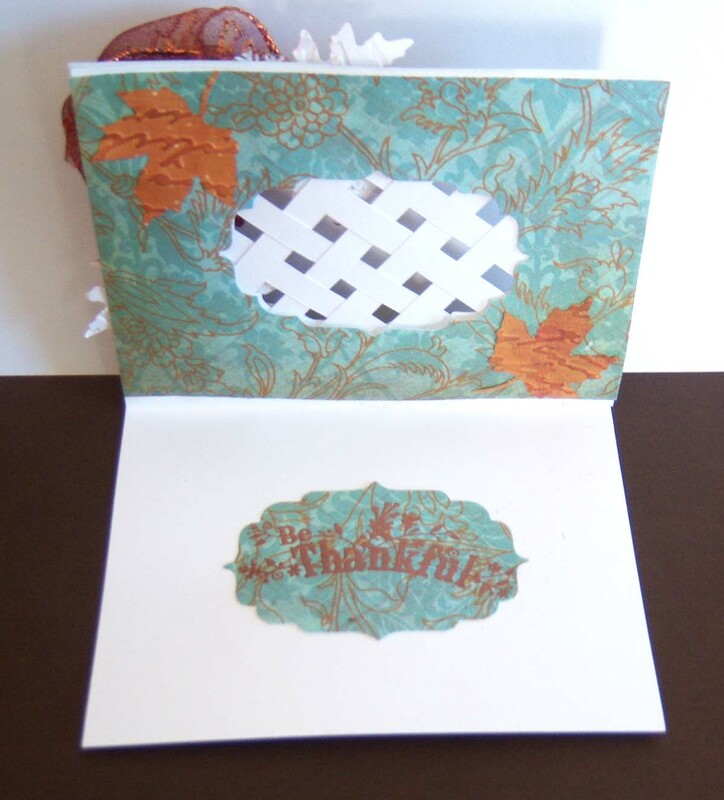 Used Harvest Expressions (Inkadinkado) and Copper embossing powder for sentiment inside. Now click here to see what my friend came up with for this challenge. I really, really like this!! The "muddying" really did enhance the lattice, too. ;) Thanks for playing along!